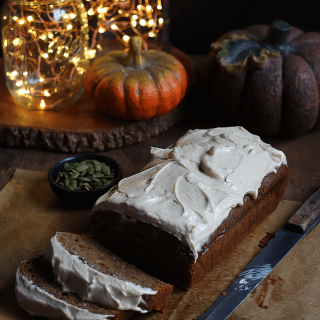 This Pumpkin Spice Loaf is moist and loaded with warming spices and topped with a flavorful Brown Butter Maple Cream Cheese Frosting –best paired with this Pumpkin Spice Latte! Guess what we are pairing our coffees with today? …… THIS. 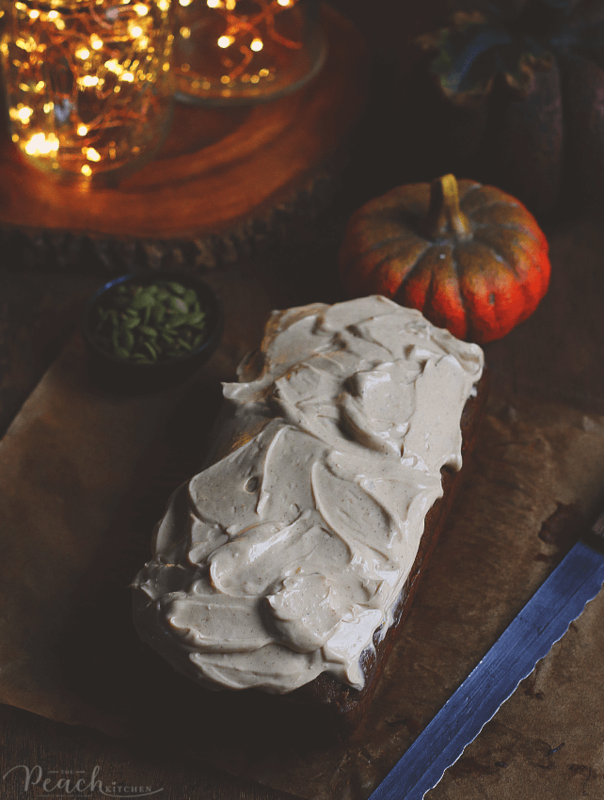 Pumpkin Spice Loaf with Brown Butter Maple Cream Cheese Frosting. YES. Moist, flavorful, full of warming spices and topped with a rich and equally flavorful topping– so dang amazing! It’s kinda my “Fall Pahabol” since it’s the end of November and sooner or later I gotta start with a few holiday recipes for the kids. Can you believe it? It’s already the last week of November and 29 Days before Christmas… This is all I can do to hold on to every last bit of Fall that I can. So what is keeping everybody busy these days? 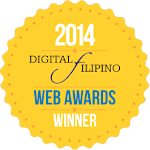 Aside from overeating and Christmas-movie-bingeing on Netflix? Well, I actually decided to go back to working-out. You might be thinking I’m out of my mind because it’s the holidays but I actually think that’s what might keep me sane (hello endorphins!). After all, I shouldn’t have stopped. I’ve kept the habit and it’s supposedly already a part of my life but life became hectic and I thought it’s one of the things I should give up. Well, because I love doing it so early in the morning and my brain kicks up all its ideas early in the morning, I thought I had to choose. Boy, was I wrong. Dead wrong. I think I’m going downhill healthwise because of that and I haven’t been feeling too well too. So here am I again on Day 1. — in the middle of the holiday. LOL. I’m not saying I’m gonna give up on the things I’d like to eat, though. Especially if it involves pumpkin spice and cream cheese frosting. 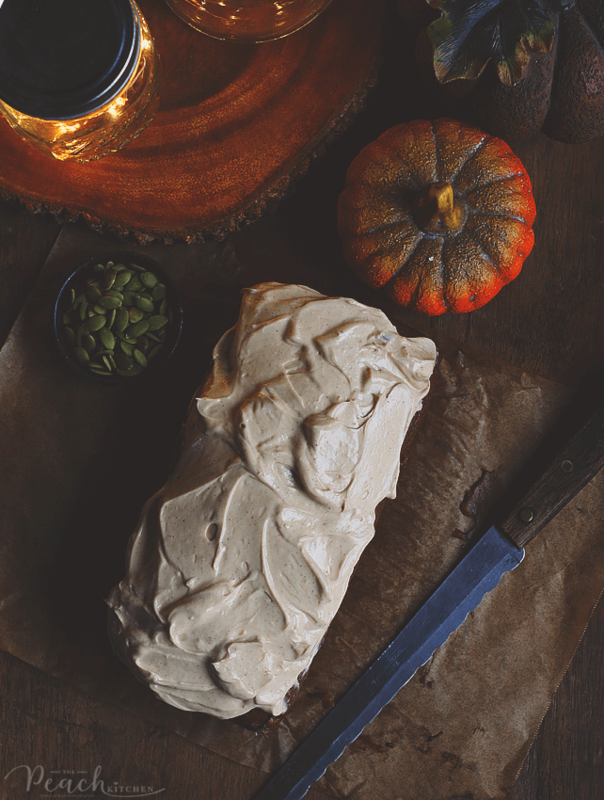 So this Pumpkin Spice Loaf with Brown Butter Maple Cream Cheese Frosting had to happen. It has been long overdue, anyway. 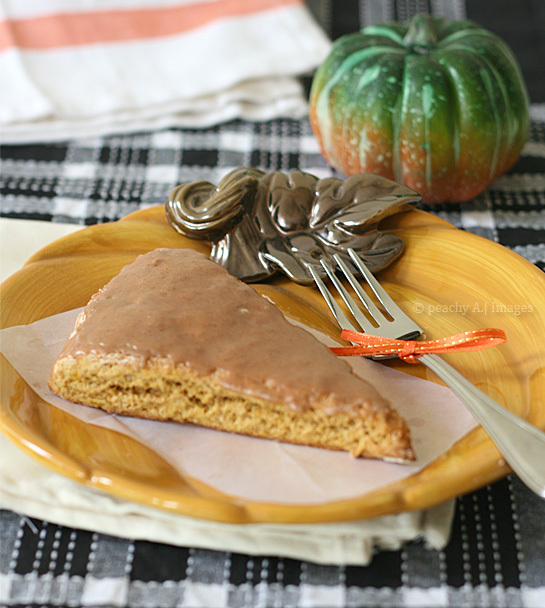 I’ve been trying to get my hands on a good Pumpkin Spice cake or loaf or bread last year. Of course, since di naman uso si Pumpkin Spice here in the Philippines, I wasn’t able to find one. I wanted to make one but since Twinkle was on her terrible twos and I didn’t have househelp, I wasn’t able to do anything. Nganga. The only way I could satisfy my craving for Pumpkin Spice is to make one. So here I am making what I’m craving..heehee…. To make the Pumpkin Spice Loaf, I used lots of my homemade pumpkin spice and pumpkin puree along with basic things like flour, eggs, and buttermilk. 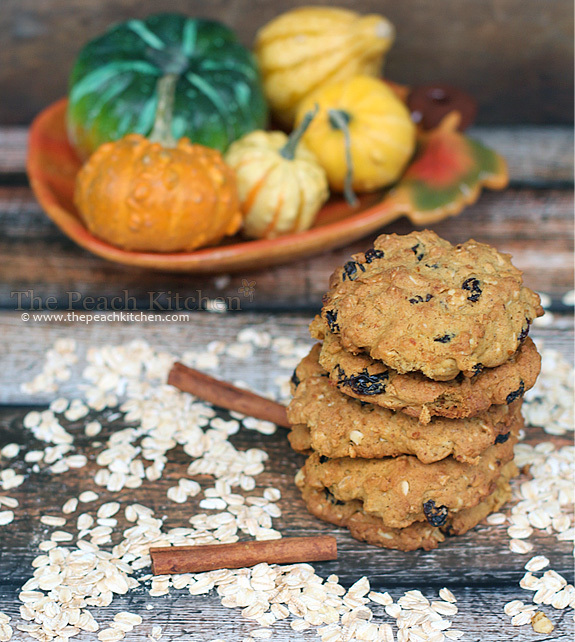 The pumpkin spice makes this so flavorful and makes your house smell delicious. 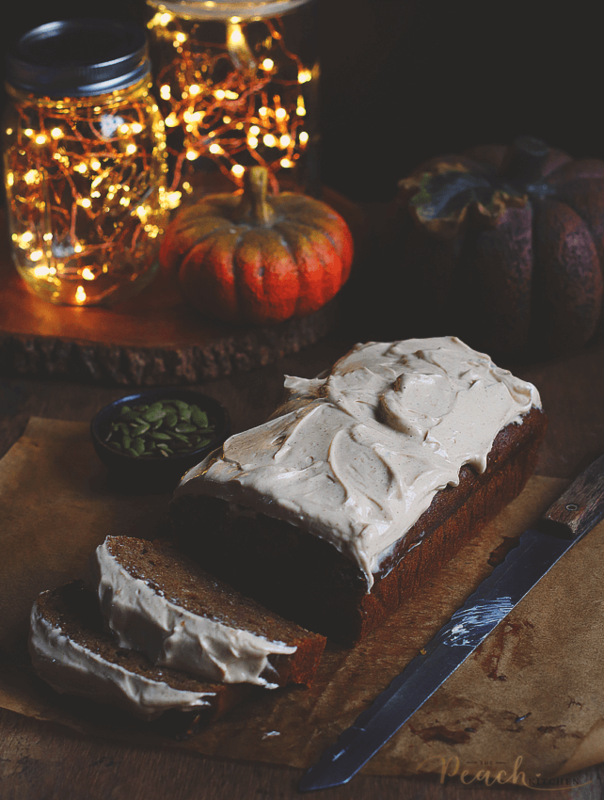 The pumpkin puree and buttermilk makes the bread super moist but the Brown Butter Maple Cream Cheese Frosting makes this addictive! What I did with the frosting is that I made brown butter by heating up the butter until it becomes brown and nutty and then chilling it to be able to mix it with the cream cheese and the spices. Brown butter + cream cheese + maple syrup + cinnamon + nutmeg = Euphoria. A slice of this loaf is great paired with your morning coffee, a midday pick-me-upper, or an all day dessert/snack. I don’t think you’ll be able to stop eating it until it’s all gone. And I think there’ll be another round of this loaf (this time with walnuts) before the months ends…. Then I guess by then I’ll be ready to put up the Christmas Tree? Preheat oven to 350º. Lightly grease the sides and bottom of an 8½ by 4 inch loaf pan. Set aside. In a medium mixing bowl, whisk together the sugars, eggs and canola oil until smooth. Add the pumpkin puree, buttermilk,and vanilla to the egg mixture and whisk until combined. Sift the the flour, baking soda, salt and spice over the bowl with the egg mixture. Use a rubber spatula to gently fold the dry ingredients into the egg and buttermilk mixture. Blend until smooth. Pour the batter into the prepared pan and bake at 350º for 50- 55 minutes or until the center is set and firm to the touch, and the cake is lightly browned and cracked down the middle. Remove and allow the cake to rest for 10 to 15 minutes, then remove to a wire rack to cool. To make the brown butter: Melt the butter in a heavy bottomed sauce pan on medium heat. Continue to cook, swirling the pan occasionally to ensure the butter browns evenly. You will cook until the butter takes on a nutty aroma & turns a toasty brown color. Remove the butter from the heat & transfer it & the milk solids (brown bits that settled on the bottom during cooking) to a heat-proof bowl. Allow the browned milk solids to settle to the bottom of the bowl, then place the bowl in the freezer. 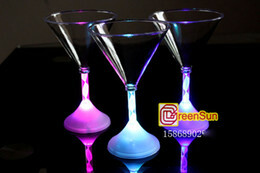 Chill until just firm (15 – 20 minutes). Carefully scrape the butter from the bowl, taking care to leave the browned milk solids in the bowl. Discard these solids. Meanwhile, sift the confectioner’s sugar into a small bowl. Place the brown butter, brown sugar, & maple syrup in the bowl of a stand mixer fitted with paddle attachment. Beat on medium-high until the brown sugar has dissolved & the mixture takes on a light color (about 2 minutes). Scrape down the sides of the bowl & the paddle attachment as needed. Gradually beat in the confectioners sugar. Continue to beat until the frosting is smooth. Add more confectioners sugar until the desired sweetness or firmness is achieved. Place a thick layer of frosting on top of the loaf and spread it evenly. If you wish to firm up the frosting before serving, place the loaf in the fridge for 30 minutes and allow it to cool. 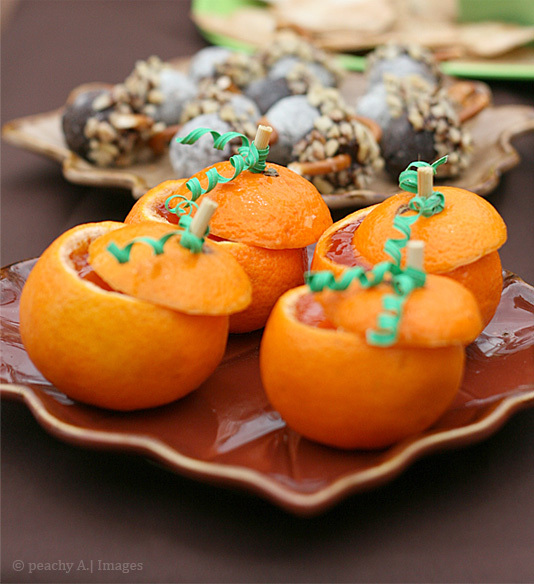 Sprinkle with pumpkin seeds on top before serving. What a great looking loaf! And so perfect for the season, too. Really creative recipe — thanks.